– addiction treatment centers near me and Christian drug rehabs. Welcome to our website. 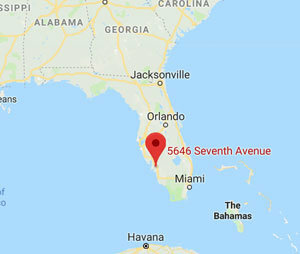 Southwest Florida Men’s Center (“SITE OWNER”, “we”, “us”), owns and operates swfloridamensrehab.com (the “Site”) as an informational source. Should you need help finding addiction rehabs, teen challenge programs, therapeutic schools or addiction rehabs, please let us know. Adult and Teen Challenge is the largest and lowest cost group of rehabs in the nation. They report the highest addiction recovery success rate for long-term addiction recovery, earning the praise of government and civic leaders. Discover how Adult and Teen Challenge centers can help an addicted or alcoholic loved one or colleague affected by drug abuse. The long-term residential substance abuse and addiction recovery programs of Teen Challenge offer better addiction and alcohol abuse recovery than typical outpatient substance abuse and addiction recovery centers. Providing affordable substance recovery and addiction recovery for men in and around Fort Myers, Florida, including: Bonita Springs, Cape Coral, Lehigh Acres, and Fort Myers Beach in Lee County, Sanibel on Sanibel Island, Punta Gorda in Charlotte County, Naples, Immokalee in the Naples–Marco Island area, and Englewood in Charlotte and Sarasota counties.